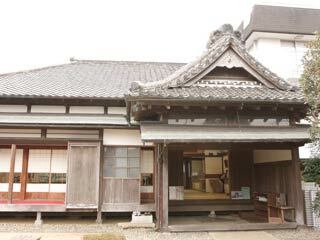 The memorial museum of Sakura Juntendo (佐倉順天堂記念館) is the oldest remaining hospital in Japan. It was built in 1858 as the Dutch school and hospital. There are many books which written in the students, and real surgical tools of Edo period. "Junten" means following the nature. Juntendo was established by Dr. Saito Taizen in 1843. He was famous Dutch style Doctor in late Edo period. Current building was built in 1858. Juntendo became famous hospital and Dutch school in Japan. Many students from all over Japan visited Sakura at that time. Sakura was considered as the best Dutch school in eastern Japan because of the Juntendo and doctors. Juntendo had over thousand students through the Edo period. Late, they moved to Tokyo and established Juntendo University. In the Meiji period, as the examination system to practice medical treatment was enforced throughout the country, many hospitals were opened. Among them were "Juntendo Byoin," "Saisei Byoin" and "kaishundo Iin" of Sakura. There are many books and notes of Juntendo Students are displayed at this museum. Also, surgical tools of Edo period are interesting feature of this museum.